At three public meetings in June, the Ōrākei Local Board will be consulting on its draft Local Board Plan for 2017-2020, says Colin Davis, Chairman of the Ōrākei Local Board in a news release. Click to read the draft plan. He says, the Local Board Plan is an aspirational document that reflects the aspirations and priorities of our community for our area for the next three years. The board is looking for opportunities to engage with residents, has used previous feedback to inform the draft Plan, and ow is the time to find out if the board has it right. Click to see full details of the locations (with maps). 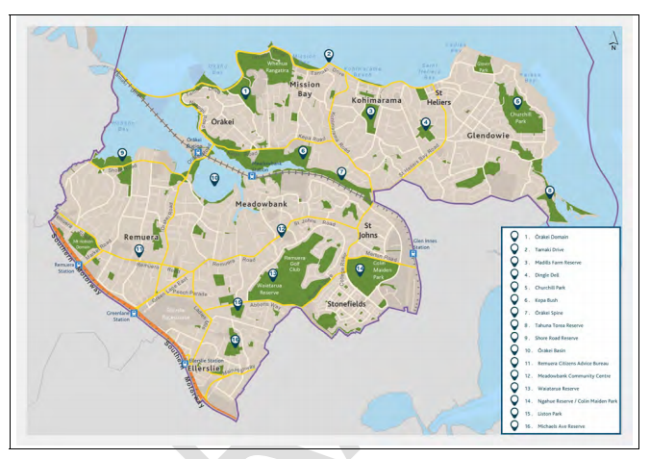 Residents will receive a summary and feedback form in the post and can provide your feedback at shapeauckland.com, Coin Davis adds.